The PD-85 Dome Lens Port from AquaTech fits various Nikon, Canon, Tokina, Schneider and Sigma lenses. Compatible models range in focal length from 11-50mm and feature maximum apertures of f/1.2. Zoom and focus gears for the different lenses are available separately. The port screws onto Elite, Delphin and Meridian Underwater Sport Housings for cameras. It has a depth rating of 33′ and its body and front element are constructed from acrylic. 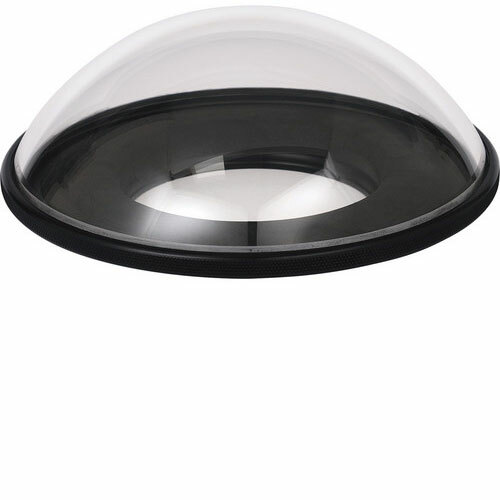 Aquatech PD-85 Dome Lens Port is available for rent or hire from RENTaCAM Sydney.